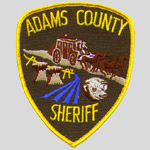 Adams County is named in honor of the second President of the United States, John Adams. As of 2017, the estimated population was 19,506. The county seat is at Ritzville, and its largest city is Othello. 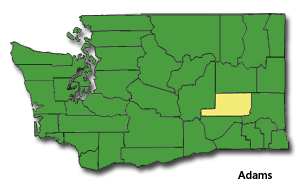 Adams County was formed out of Whitman County on November 28, 1883. According to the U.S. Census Bureau, the county has a total area of 1,930 square miles, of which, 1,925 square miles of it is land and 5 square miles of it (0.25%) is water. The population density is 8 per square mile.